I love creating new wreaths for each holiday or special occasion. 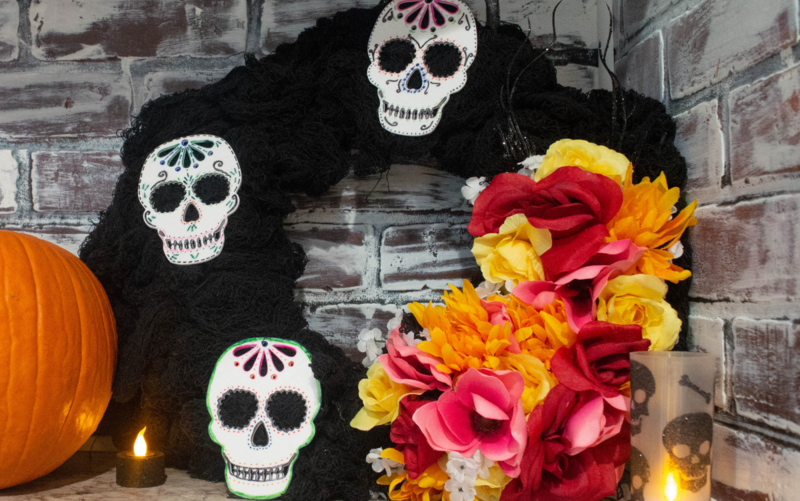 This year, I thought I would try something new using my Silhouette Alta®, and I made these cute sugar skulls to accent my wreath. It turned out great! 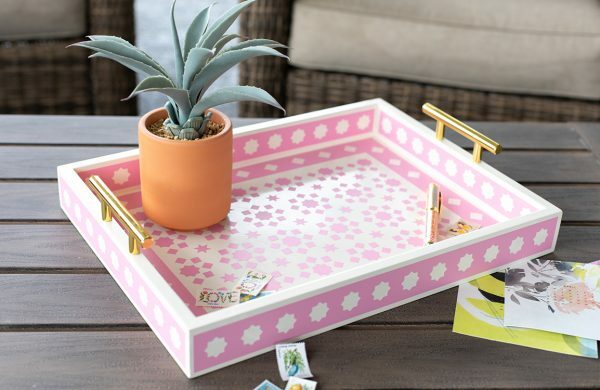 Keep reading the tutorial below to see how you can make your own. 1. Open the Silhouette 3D™ software and go to your Recent Downloads folder. 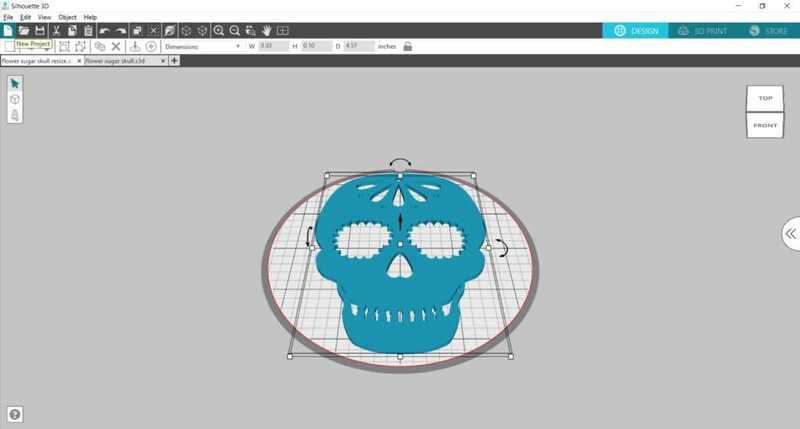 Selected the Flower Sugar Skull (Design ID #66952) and import the design using the extrusion option. 2. Resized the image to W: 3.33 inches H: 0.10 inches D: 4.57 inches. 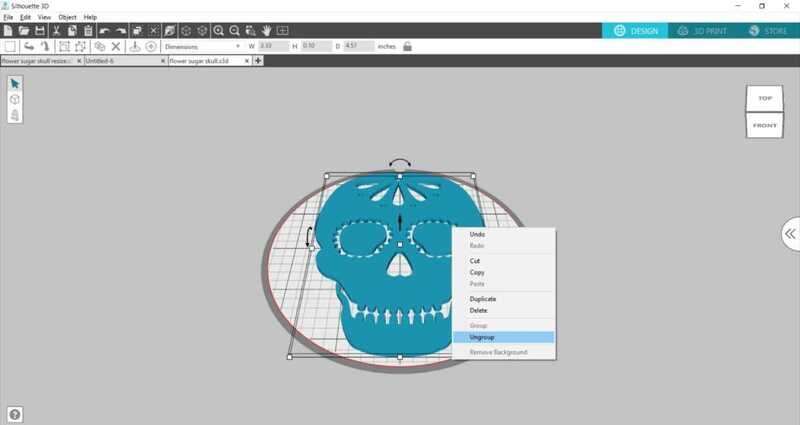 Then select the sugar skull, right-click the design, and ungroup the design. Next delete the scalloped centers of the eye sockets and move the lower mandible of the skull to be closer to the main part of the skull so that the whole design is connected. 3. Once everything is connected, select both the lower mandible and the skull, right-click, and group both shapes together. 4. Next, select the 3D Print tab. Under the Quality settings, you can choose: Draft, Standard, High Quality, or any other preferences you may have saved. I chose the Standard setting, and the print estimate for it was about 1 hour and 25 minutes. 5. Load the filament. View this video for step-by-step instructions. Then click Print. 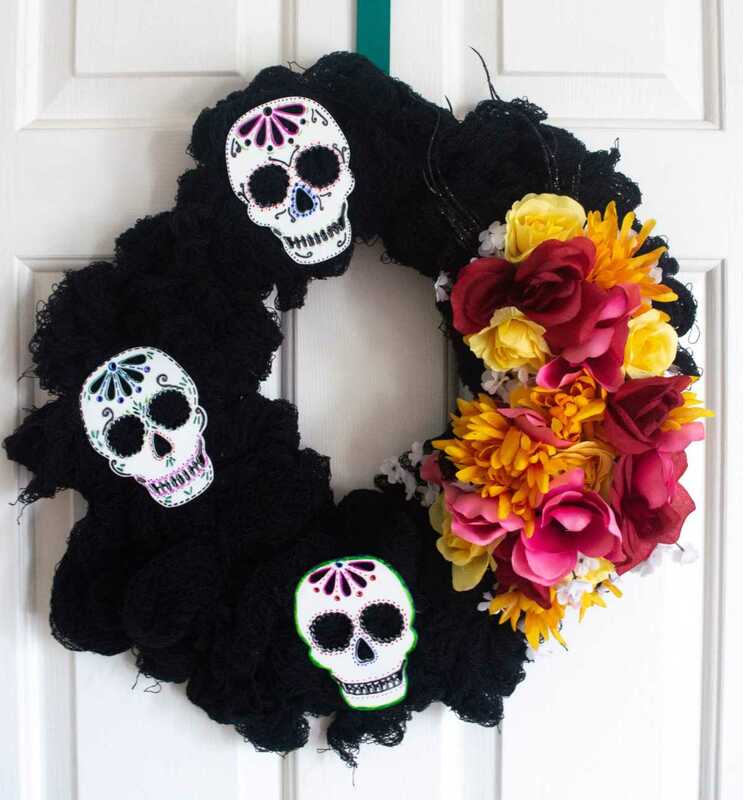 While the Alta is printing the skulls you can create your wreath. 1. 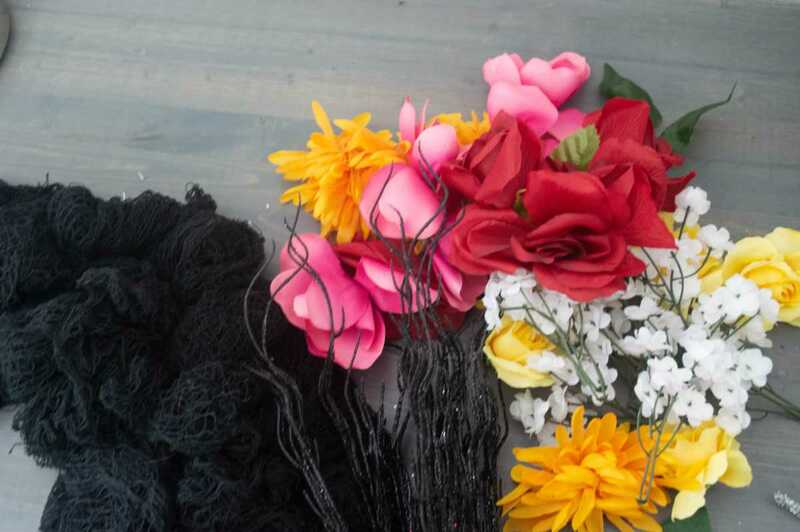 Grab your wire wreath frame, ribbon, or material of your choice, and pipe cleaners. 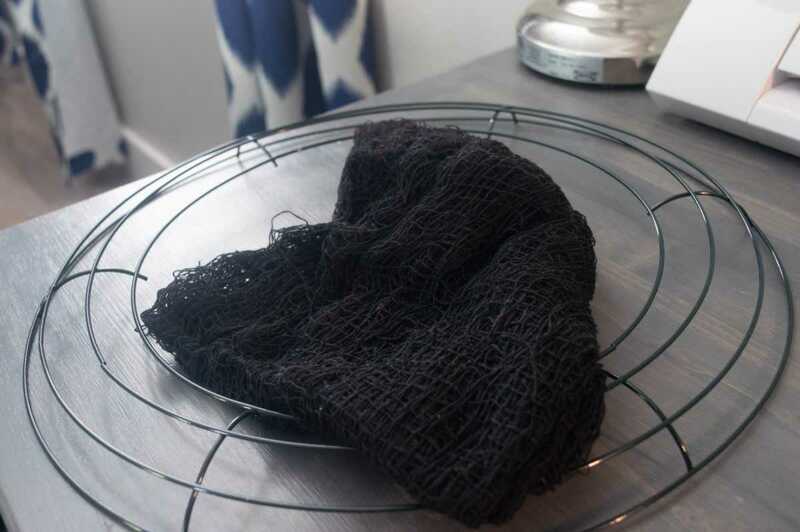 I chose this black gauze material I found in the Halloween section of my local dollar store. Then grab your material and your half-sized pipe cleaner. 2. 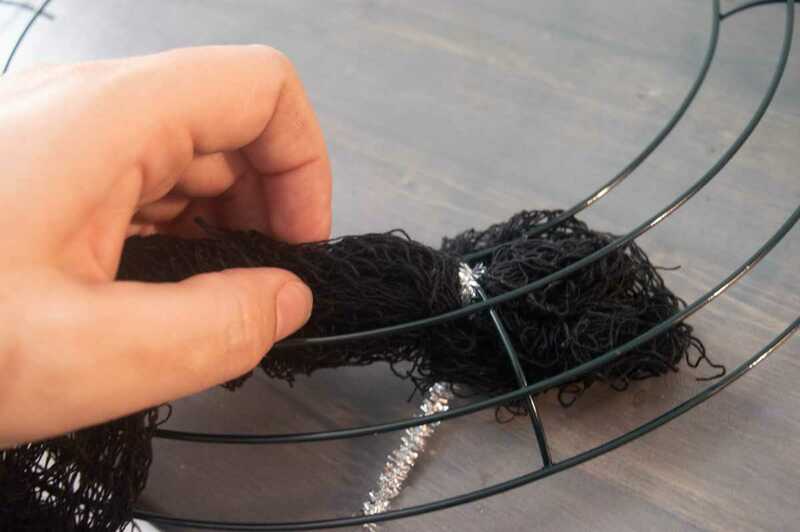 First, secure one end of the fabric with the pipe cleaner. 2. 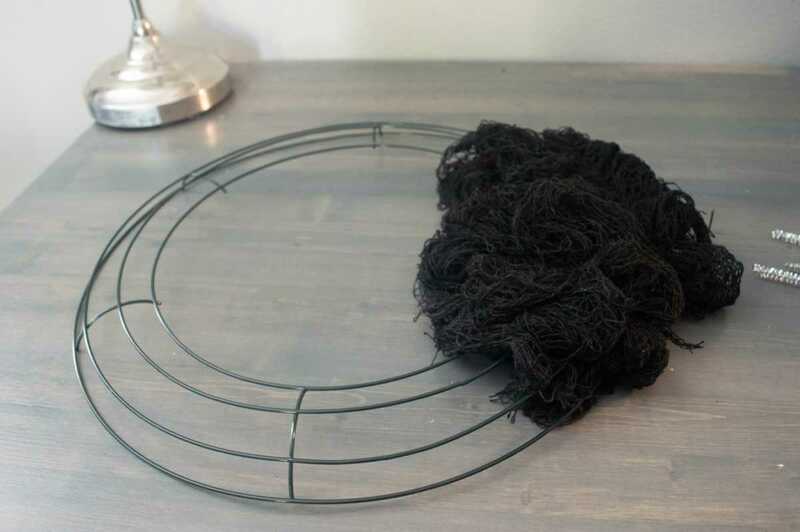 Next, make a 4- or 5-inch loop in one of the three sections on the wire wreath frame. 3. 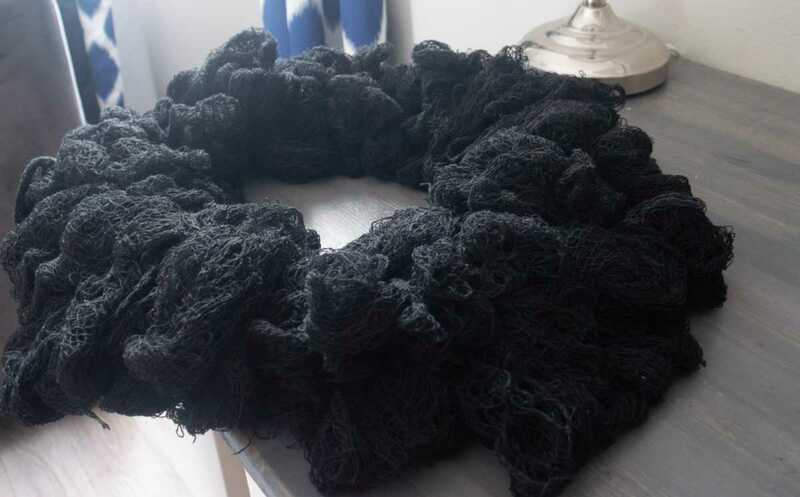 Then weave the material in and out of the three sections of the wreath, making similar loops, and loosely connecting some with pipe cleaners. 4. 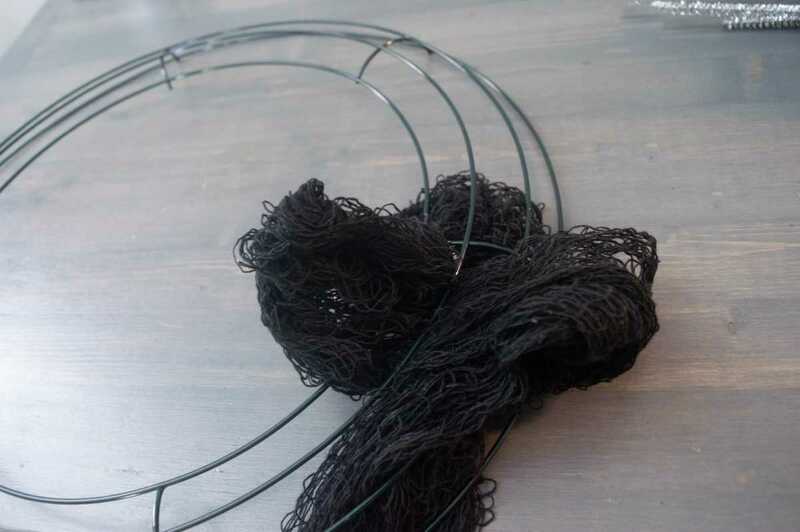 Repeat until the entire wire wreath frame is finished. 5. 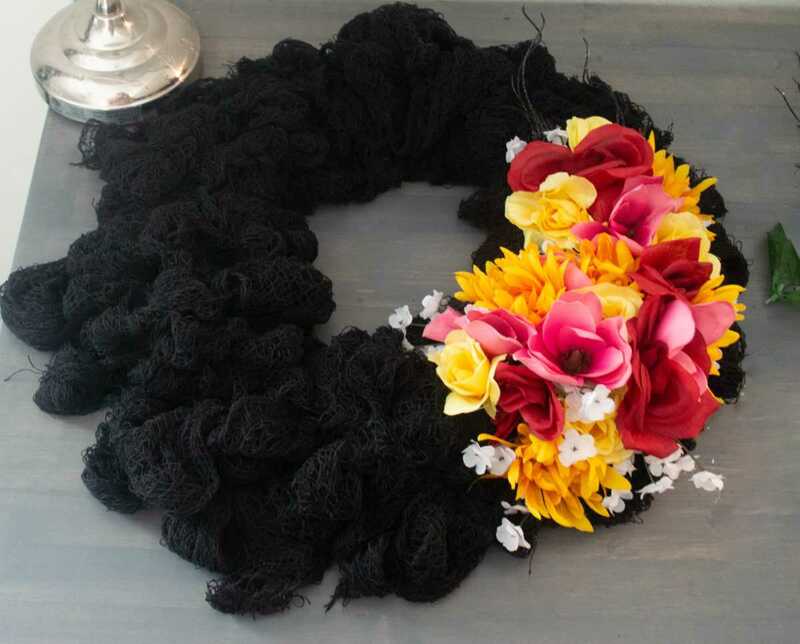 Pull the flowers from the stems so that you can easily attach them to the wreath. 6. 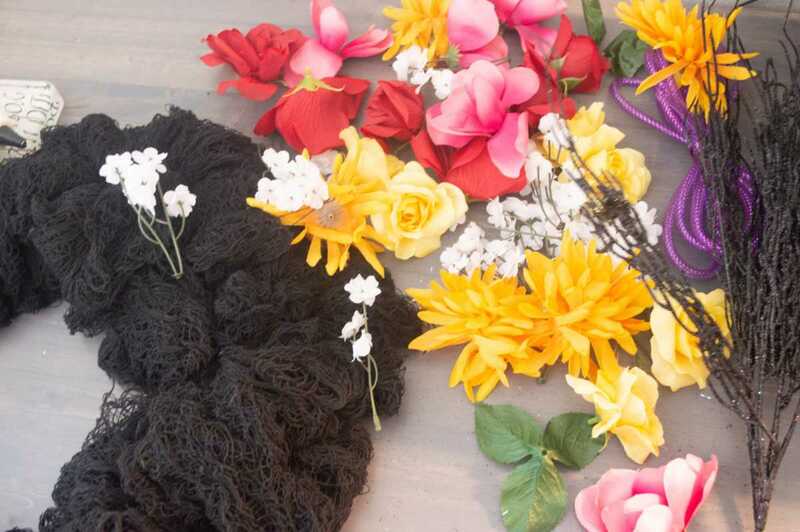 Gather your glue gun, flowers, and any other fun items you’d like to use to embellish your wreath. 1. 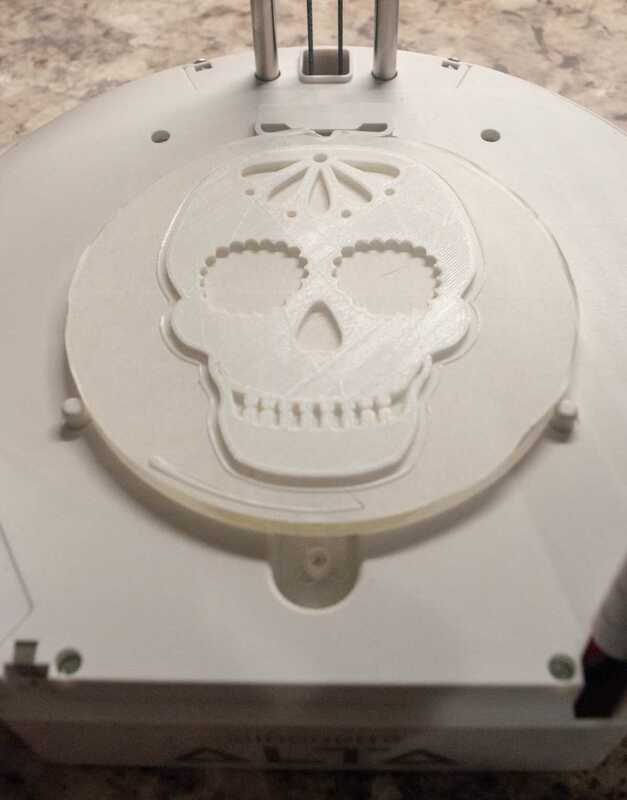 Once the skulls are finished printing, remove them from the print bed. 2. 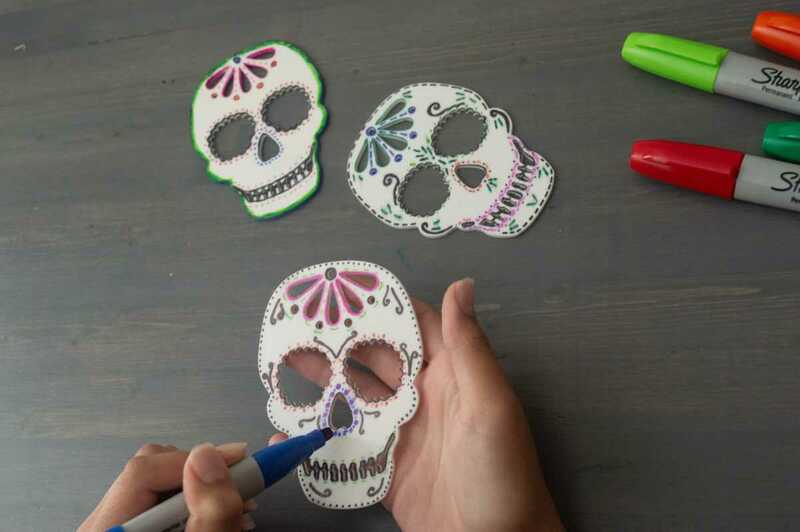 Grab your sharpies or other permanent markers and start creating your sugar skull. 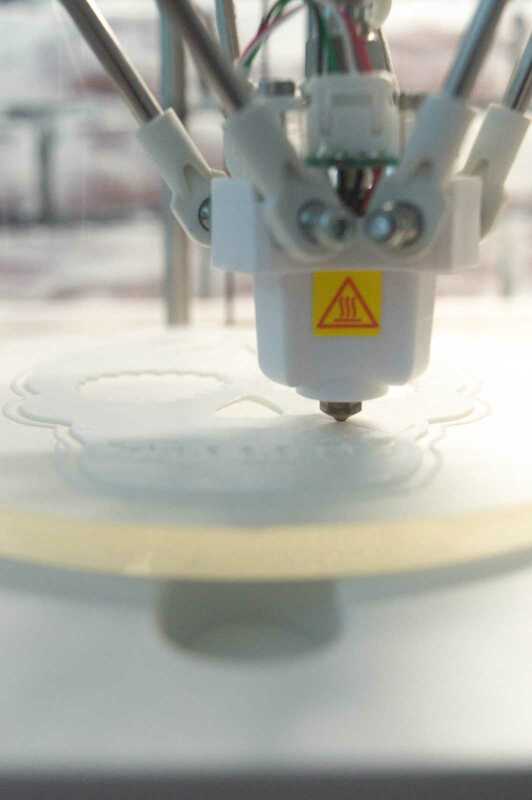 Optional: You can apply polycrylic finish to your 3D designs to smooth the print and protect your art work. 3. 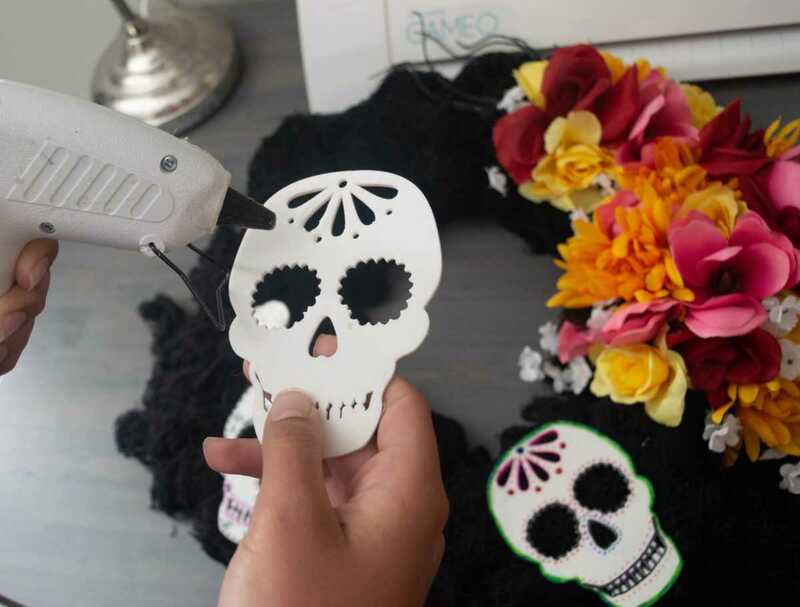 Once you’re done creating your design, attach the skull to your wreath with the hot glue gun. 4. 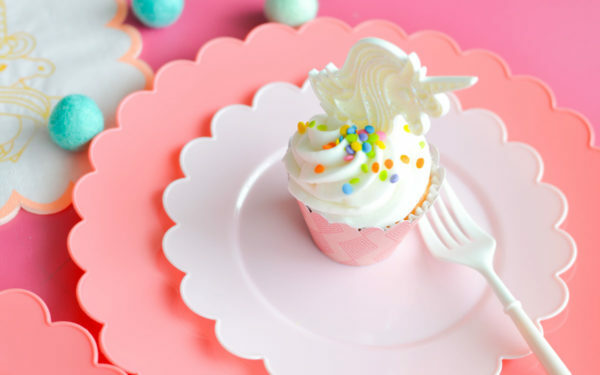 Enjoy your new creation! With the Silhouette Alta®, you can create many 3D objects for your holiday crafting using the Silhouette Design Store cut files. Think of all the possibilities!